Is getting enough of this nutrient the key to healing leaky gut? Over the course of the last 2 blogs, I’ve covered ways to improve gut health and inflammation by decreasing exposure to endotoxin. In my last blog I specifically covered reducing endotoxin by fasting. Fasting does a great job of keeping bacteria from overgrowing in your small intestine but it can’t completely eliminate your exposure to endotoxin. You’ll always be exposed to it so you need to be able to process it before it accumulates. This is primarily carried out by the enzyme alkaline phosphatase. I’ve covered this in depth here. In my last blog I alluded to a nutrient that’s important to the human diet that may play a key role in activating alkaline phosphatase in the gut. It actually gets better than that. This nutrient may prime mucosal defense in the gut by not only increasing alkaline phosphatase, but also improving the handling of bile, environmental toxins, blocking inflammation and sealing up a leaky gut. This nutrient is vitamin K.
At the end, you’ll have a greater appreciation for vitamin K and the ways it can improve gut health. In fact, I believe that optimizing vitamin K status is one of the first things you need to do when trying to heal your gut. It sets the stage for increasing bile output, reducing sensitivity to environmental toxins, sealing a leaky gut, and reducing inflammation. Vitamin K is a group of fat-soluble nutrients with diverse functions throughout the body. These functions include blood clotting, inhibition of arterial calcification, increasing bone mineral density, and more. Vitamin K performs most of its tasks by modifying specific proteins, called vitamin K dependent proteins, t0 activate them. Vitamin K1(phyllquinone)-Found exclusively in plants, this form is best known for its role in promoting the blood coagulation process. Vitamin K2(menaquinone)-Found in animals and bacteria, this form plays an exclusive role in reducing arterial calcification. It also shares functions related to bone, brain, and gut health with phylloquinone. There are many forms of Vitamin K2 that are noted as mk-x where x is the number of isoprene residues in its side chain. Vitamin K3(menadione)-Formerly believe to be a purely synthetic form of the vitamin and dangerous at high doses. Now known to be the transitional form in the conversion of phylloquinone(K1) to menaquinone(K2) in animals. So much can be written about the many forms of vitamin K and how they’re synthesized that we’ll just look at what happens in humans in this blog. Further information can be found in the books Vitamin K2 and the calcium paradox and Vitamin K in health and disease. Most of what’s to come is from the latter. Modern humans get a large portion of their vitamin K from cheese and fermented dairy products. This vitamin K is in the K2 form and there are multiple sub-types of K2 in various cheeses. This K2 is both from the cow converting K1 in to K2 in the milk-based products AND from bacterial fermentation of the milk in the fermented products. Humans also get a lot of their vitamin K in the K1 form from leafy green vegetables. Like all animals, when humans consume enough vitamin K1 the excess is first converted to K3. Some of this K3 is converted to K2 in the intestine and the rest is distributed to tissues where it gets converted to K2 onsite. This pathway is the traditional pathway of conversion of K1 to K2 in all animals and helps explain animal sources of K2. Cows are a great example. When a cow eats grass, a leafy green vegetable, the K1 is converted to K2 and stored in tissues and milk to pass along to their offspring. However, if the cow is fed on grain, there’s far less conversion because there’s a lack of K1 in their diet. Therefore, not all dairy products are the same with respect to K2 content. Unequivocally, grassfed is better. 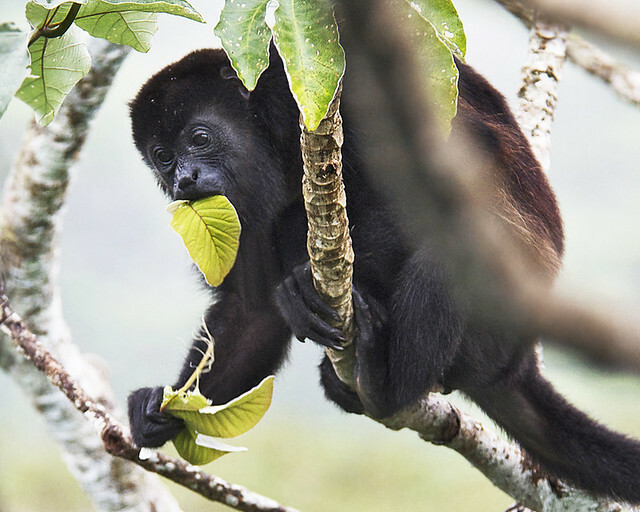 It’s not hard to imagine the massive amount of vitamin K1 our primate ancestors consumed while gorging on green leafy things all day. For a simple comparison, 2 cups of spinach contains 360% of the recommended daily intake of vitamin k set at 120mcg. But where does this recommendation come from and what’s it based on? When you dig in and take a look at the basis for this recommendation, you can see that it’s extremely low. Most people are under the mistaken assumption that recommended vitamin intakes in the US are intakes for optimal health. This is most certainly not the case. The primary basis for vitamin intake recommendations are on the amount you need to consume to prevent diseases associated with micronutrient deficiency. For example, the vitamin D recommendation is based on preventing rickets, the vitamin C recommendation is based on preventing scurvy, and so on. Obviously the intake of a nutrient isn’t necessarily optimal if it’s based solely on preventing a deficiency, and vitamin K is no different. Although, in some ways, it is a bit different. The very low recommendation for vitamin K is based simply on preventing a defect in blood clotting. This seemed like a good idea back when we didn’t know too much about vitamin K other than its role in promoting the clotting process. But now we know that blood clotting is simply a small portion within the realm of only vitamin K1. There are other health promoting effects of vitamin K1, and vitamin K2 has other exclusive benefits as well. We also know that vitamin K1 was available in spades not too far down the evolutionary ladder and with that brings some skepticism to the recommendation. But there’s an even bigger question to ask. What is the point of converting K1 in to K2? Why waste the energy converting K1 to K2 when they both perform their tasks in nearly identical ways, chemically speaking? Why can’t K1 simply perform the same tasks as K2? The answer may lie in the benefits of partitioning limited resources. Dr. Bruce Ames put forth a theory over a decade ago called triage theory to help explain the incidence of chronic disease. His theory states that under mild micronutrient deficiency, an organism prioritizes use of vitamins or minerals to promote short-term survival. With this comes a trade-off that may have a negative impact on long-term survival(1). This theory absolutely makes sense. For the vast majority of human history our ancestors likely experienced many periods of micronutrient deficiency. Would it make sense to use vitamin K to clear arterial plaques while you have an open wound and need it for clotting? There definitely needs to be some way to ensure that a resource goes to where it’s most needed. In the grand scheme of things, providing preference to short-term survival for reproduction is far more important than having bone density in the 95th percentile instead of the 90th. Dr. Ames proposes that vitamin K is a prime example of triage theory at work(2). Once you consume adequate K1 for processes that promote short-term survival like blood clotting, converting it to a different form that promotes processes for long-term survival partitions your resources appropriately. Once intake becomes inadequate, vitamin k remains in the K1 form to promote short-term survival until you begin consuming more. If you just look at the dynamics of the 2 forms of vitamin K on blood factors, clotting vs preventing calcifications, you can see that vitamin K provides very strong evidence for triage theory. However, since US vitamin K recommendations are based solely on preventing a defect in blood clotting, this implies that our intake may be far too low to et all of the benefits of vitamin K.
As the science on vitamin K has moved forward, we’ve found many more functions for vitamin K beyond blood clotting. It’s involved in reducing arterial calcifications, increasing bone density, improving insulin sensitivity, and some yet to be uncovered roles in the central nervous system(3). Given that blood clotting is more of a short-term survival function, basing intake recommendations on it may be a poor choice. Now that we know that vitamin K has many more diverse roles in human health, it makes sense to revisit the intake recommendations. Many of these new roles of vitamin K were discovered based on where vitamin K is being stored. Blood clotting factors are synthesized in the liver so there are large stores of vitamin K there, but other organs concentrate more. Two of these organs are involved in digestion, so let’s take a closer look. Even though the liver contains substantial stores of the 2 forms of vitamin K, other tissues including the brain contain far more. The brain contains 290x more vitamin K than the liver, which is why researchers have taken a deeper look at vitamin K in the central nervous system. The salivary glands also have higher levels of vitamin K than the liver, approximately 190x more. In the mouth, vitamin K is believed to be involved in maintaining calcium in teeth and modulating the oral microbiome(4). Additionally, it may activate salivary enzymes, but this is a theoretical function yet to be validated. The tissue concentration in all 3 of these organs pales in comparison to the stores found in the pancreas. In the pancreas, vitamin K levels are 1870x more than those found in the liver. With such a high concentration of vitamin K in the pancreas, many believe it must have a substantial role in helping to regulate blood glucose levels. While the pancreas has a starring role in the endocrine system where it secretes insulin and glucagon to regulate blood glucose, it has an equally important role in the digestive process. 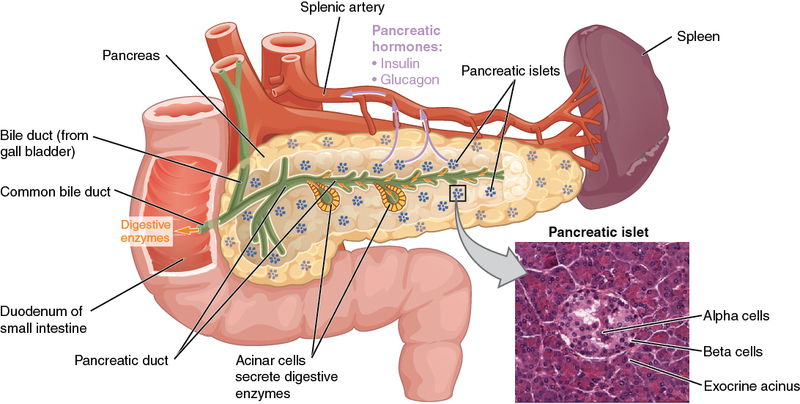 The pancreas stores and secretes pancreatic enzymes and bicarbonate which aid in breaking down food and regulating pH in the gut. Maybe vitamin K activates these enzymes when released in to the duodenum…or maybe it does something equally important. There’s substantial evidence that vitamin K is involved in blood glucose regulation(5, 6, 7), but that’s not its only function in the pancreas. During the digestive process, stimulation of the pancreas secretes digestive enzymes in to the duodenum. In addition to enzymes, these secretions are also rich in menaquinone, vitamin K2(8). This is where the theory that vitamin K functions as an activator of digestive enzymes came from. Unfortunately there’s no evidence for this role, but there’s evidence for a critically important role in the gut. Vitamin K may bolster mucosal defense by regulating pH, blocking inflammation, sealing up a leaky gut, and ridding the body of toxins. Given the concentration of vitamin K in the pancreas and our relatively low intake, this could be very helpful for people experiencing gut problems. Let’s take a deeper look at what vitamin K does in the gut. If vitamin K is involved in mucosal defense, we need evidence showing that it modulates factors involved in this process. We have that evidence, and it seems to work in a couple of ways. In the gut, both vitamin K1 and K2 increase the expression of 2 important mucosal defense factors: intestinal alkaline phosphatase(9, 10) and the pregnane x receptor(10). Intestinal alkaline phosphatase decreases inflammation by detoxifying endotoxin, a major contributor to inflammation in the gut. It also helps regulate pH in the duodenum, an important factor in optimizing the activity of digestive enzymes there. Check out the blog mentioned above if you wanna get down and dirty on the science of intestinal alkaline phosphatase. The pregnane X receptor(PXR) also decreases inflammation, increases tight junction proteins to seal up a leaky gut, and enhances detoxification by spitting toxins back in to the intestine. It also makes the gut less sensitive to endotoxin by reducing the number of receptors for it. I also covered the finer points of PXR in this other blog. So rather than activating enzymes, pancreatic vitamin K may activate mucosal defense in the gut. It doesn’t make sense to store so much in the pancreas unless it’s being put to good use. Having a handy defense activator released in to the gut every time you eat would be a tremendous advantage against potential foes. Vitamin K: Critical nutrient for a healthy gut? These functions of vitamin K in the gut cover a large number of bases that you must address for optimal gut health. Having a storage cache of vitamin K in the pancreas ensures that these factors are activated every time you eat, not just when you eat vitamin K.
Inflammation and “leaky gut” are 2 things on most people’s radar when trying to improve the health of their gut. By detoxifying endotoxin, alkaline phosphatase will dramatically lower inflammation and decrease the leakiness of the gut. It’s pH regulating mechanism also allows you to get the most out of the digestive enzymes secreted in to the duodenum. PXR lowers endotoxin induced inflammation by reducing the expression of toll-like receptor 4(TLR-4) in the gut. TLR-4 is an endotoxin sensor, so reducing its expression decreases your sensitivity to endotoxin. A hallmark of inflammatory bowel disease(IBD) is an increase in TLR-4 in the gut. Could this be partially caused a lack of vitamin K? It’s important to note that vitamin K deficiency is associated with gut disorders, including IBD(11, 12, 13). Another major finding is that people with IBD have impaired detoxification due to dysregyulation of PXR(14). Could these 2 findings be linked? PXR also lowers inflammation as a consequence of its primary function: transforming xenobiotics and hormones. Fat soluble molecules are capable of entering epithelial cells in the gut freely, without transporters. When this happens, some of these molecules bind to PXR and go through what is often referred to as “detoxification”. This process turns the fat soluble molecule in to a water soluble molecule and spits it back in to the intestine for removal. A necessary component of this process is to make sure that the transformed molecule stays in the gut when pumped back in and doesn’t enter the blood. Basically, you want to seal the gut, which can’t be done when there’s inflammation present. PXR blocks inflammation by inhibiting nuclear-factor kappa beta, a chief regulator of the inflammatory process. When activated, PXR also increases the expression of tight junction proteins, which effectively seals the gut. Many commensal bacteria also communicate with the gut through PXR. Metabolites of these bacteria, including one called indole-3-carbinol, activate PXR which increases tight junction proteins and blocks inflammation(15, 16). Activation of intestinal alkaline phosphatase and PXR by vitamin K both during meals and fasting may play a crucial role in blocking inflammation and sealing a leaky gut through multiple mechanisms. The large storage of vitamin K1 and K2 in the pancreas and its secretion with pancreatic enzymes in the duodenum may set the stage for gut health. This is contingent on attaining adequate vitamin K from the diet. Research on vitamin K has uncovered a number of important roles for overall health. It helps with blood clotting, prevents arterial calcification, increases bone density, and gives you that new car smell. One area that hasn’t been studied extensively is its role in the gut. Multiple mechanistic studies show that vitamin K may play a large role in initiating mucosal defense by blocking inflammation, sealing a leaky gut, and preventing the accumulation of environmental toxins. The large storage cache of vitamin K in the pancreas along with its presence in pancreatic secretions in the gut both imply an important function in the digestive process. While we don’t know for sure how this plays out in humans, the mechanistic data along with some of the data in IBD indicate vitamin K may play a major role in maintaining gut health in humans. What do you recommend for a dose? What about supplements? Any recommendations on brand? Finally, would transdermal K2 be as effective as oral?